Senior Flexonics provides flexible mechanisms for exhaust, cooling and fuel distribution systems. Our success is predicated on our ability to design components with our customers’ needs always in focus while remaining design responsible. Technically driven, Senior Flexonics, offers full on-site service and comprehensive design support including: Analysis led design, Virtual modeling, Prototypes, Data collection and Testing. 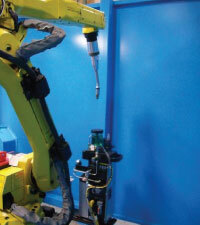 Welding: High volume production welding utilizing multi axis robotic cells. Types of welding include: MIG, TIG Laser, Resistance and Plasma. 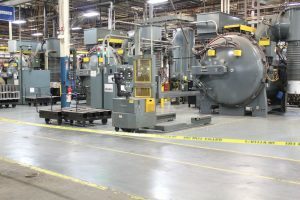 Brazing and Heat Treating: Senior Flexonics offers furnace, induction and torch brazing. Bartlett’s facilities have multiple large capacity furnaces on site and utilizes a wide range of brazing alloys depending on the components. 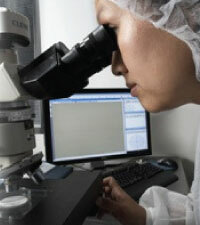 We have 8 autoclaves to apply heat and pressure to specialized projects. Tube Forming and Milling: Senior Flexonics offers high speed tube milling using a variety of materials including stainless steel, high nickel alloy and brass. We also offer automated seam tracking and multi axis tube bending. High Speed Assembly: Senior Flexonics has years of experience manufacturing components and helps customers benefit from efficiency to maximize value. We endeavor to adapt to the customers production requirements and maintain rigorous quality systems to eliminate errors during assembly. Hydro Forming: Senior Flexonics offers high speed, high pressure hydro forming which permits more complex corrugated component geometries. High Volume Machining: Our high volume machining capabilities include multiple CNC turning centers as well as proprietary hard automation machining centers. Contamination Control and Inspection: We offer part cleanliness and leak requirements for safety critical medical applications as well as debris measurement capability. We also offer helium, mass flow and pressure decay leak detection to name a few.